Now more than a decade and a half into his world travels as soloist and horn section anchor with Paul Simon, Andy Snitzer had a blast cavorting with musical gods throughout 2014 and 2015, on the historic “On Stage Together Tour” featuring the legendary singer/songwriter and Sting. Adding more history to those frequent flier miles, the versatile saxophonist toured the U.S., Canada, Europe and Australia. Now, a few years after soulfully chronicling life on the road (on his groundbreaking 2011 album Traveler), Snitzer explores and celebrates intimate places closer to heart and home, with American Beauty. Collectively, the songs on the provocatively titled American Beauty create a thoughtful ideological response to Traveler. Snitzer celebrates wonderful memories of the past while sharing the joy of his life “here in the moment.” American Beauty is simultaneously an ode to a nascent American musical life, full of hope and dreams, and to that same life after three decades of work, travel, reflection, and return to home. “On Traveler,” Snitzer says, “I wrote many of the songs in cities across the globe, responding to inspiration from some beautiful, exotic, foreign place; but a place that I was not from. American Beauty is a response to that process, a reflection on my home, and my life at home, experiences, people and places, during formative years in the late 70s and early 80s, but also on life as it is now." While perhaps best known in the pop/rock worlds for his multiple tours with Paul Simon and his travels with The Rolling Stones on their Voodoo Lounge and Bridges to Babylon tours, Snitzer has amassed a dynamic solo discography driven by his evolving lead voice on the horn and his interest in ambiences and rhythms. Back in 1999, years before chill became a vast and influential subgenre of contemporary jazz, the saxophonist felt inspired one day and sat down at the piano at his parents’ house. Retreating to Some Quiet Place in his creative mind, he began writing that album, a follow up to Ties That Bind (1994) and In The Eye Of The Storm (1996), the two Warner Bros. albums that put Snitzer on the map. His recent discography includes the influential Traveler (2011), and The Rhythm (2013. In addition to being a road warrior and one of contemporary jazz’s most acclaimed solo performers, composers and producers, Snitzer has kept some inspiring company as a first call NY sideman. 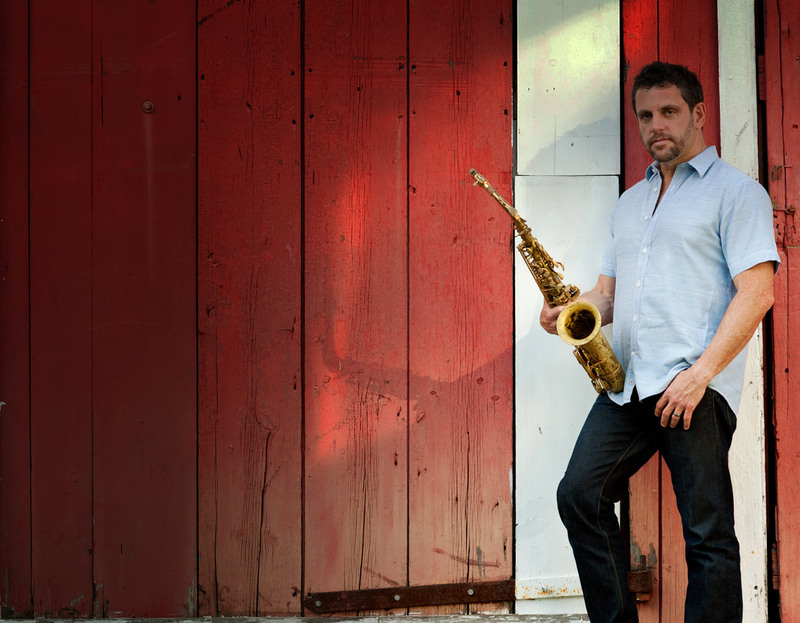 His rise through the ranks of today’s saxophonists includes dates with superstars of every genre: Eric Clapton, Aretha Franklin, Beck, Jay-Z, Panic at the Disco, and Christina Aguilera, among literally hundreds of others. In 2012, the saxophonist contributed horn arrangements and baritone and tenor parts to The World From The Side of the Moon, the debut album from American Idol Phillip Phillips. Snitzer also appears on Paul Simon Live in New York City, recorded during the legendary singer/songwriter’s 2011 tour. As he was releasing Traveler, Snitzer also appeared on Simon’s So Beautiful Or So What, Tony Bennett’s Duets II and Nicole Henry’s Embraceable. “My career has been a fascinating journey in so many ways,” he says, “and it’s been a privilege working with and learning from some of the world’s most legendary artists and innovators. I can't overestimate the benefit of being able to watch Paul Simon work, up close. It took a while, but on my recent releases I'm finally operating at a level that reflects everything I've been able to learn from masters like Paul. Being a new father, being off the road, at home, in this beautiful place, considering my life and all the people that have made it so rich. American Beauty is the creative result of these thoughts and inspirations." Contact | © 2019 Andy Snitzer. All rights reserved.